A few months ago I read a post on a forum stressing the importance of not “missing” or “pulling” your blows in training.1 The gist of the gentleman’s post is that one should not train to “miss”. Instead one should train to contact, both to groove the correct approach to striking and also to become accustomed to taking blows. I agree wholeheartedly with this as a general statement in as much as it pertains to those who are training to apply their techniques, be it in civilian defence, the sporting arena or a military conflict. But how can one make contact in training safe? Being from a boxing background the poster notes that the punches should be “heavy, but not hard... you're driving through to your target but only with weight and not power”. What does he mean by this? It is my view that the poster’s description of “heavy, but not hard” is entirely accurate from a physics perspective. In my article “Hitting harder: physics made easy” I discuss how in order to transfer momentum efficiently you need to stop your punch as fast as possible at the point of impact. The longer it takes for your punch to stop, the more “pushing” rather than “destructive” effect your punch will have. If you want to hit “harder” you must not slow your punch. If you want to hit “softer” you slow your punch before impact. You can still punch very fast leading up to the impact, but you have to slow it in the last few centimetres. Using this method you will convert some of the destructive potential of your blow into a push. Your opponent will feel the “weight” but not the force (something the poster colloquially – though inaccurately – refers to as “power”) of your blow. So this particular poster’s approach is a boxing one; he hits his training partners, but he decelerates his (gloved) punches before impact to avoid injury. How does this compare with karate training? In karate a certain amount of controlled contact is encouraged as well, especially from intermediate level onwards. So far this is the same. However the major distinction is that karateka train bare knuckle. Furthermore their punches empahsise focus or "kime" (see my article “Kime: the soul of the karate punch”). Karateka train to stop their punches suddenly and at a predetermined point (ie. the focal point) through their own muscular contraction. They certainly do not rely solely on their target to stop their blow. In the previously mentioned article I give the example of a boxer hitting a bag with power punches and the bag suddenly being moved out of the way; in this case the boxer should, if there is any weight behind his/her punch, lose balance. (b) you have a degree of predictability and control in your movement so as to recover or preserve your position and effect an appropriate response to any further attack or counter. 1. You need to be able to focus your blows as described above, however your focus will be directed so that it is very shallow – on the surface of the skin or just a millimetre in from that. 2. Your direction and distancing has to be correct so that had you so wished you could have focussed deeper and punched with destructive effect. Now I want to stress the second point; many people misinterpret controlled karate punches as “missing” or “pulling”. If they are done this way they are incorrect. Soon after that, the student will be expected to develop distancing (what is called “ma'ai” in Japanese – although this has a slightly more subtle connotation from the simple distancing to which I am referring here). In other words, your punch should not be fully extended at its finishing point. If it is so extended, you have missed. 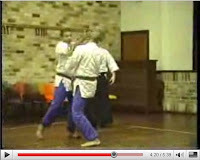 See the video below of my instructor Bob Davies together with one of my seniors Sensei Simon Bolze demonstrating this at a festival in 1985. Rather, your arm should be sufficiently bent so that, had you focussed to a destructive point, you would have landed your technique with maximum force.4 Your punch is therefore deliberately focussed to land on the surface of your partner’s skin or just deeper. It hasn’t missed. It hasn’t grooved a bad habit – because you’ve chosen your focal point and landed your punch exactly where you wanted it to land. 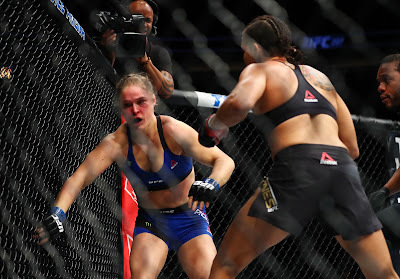 In this respect you’ve no more “pulled” your punch than had you chosen to decelerate it prior to landing (ie. the boxer's approach to ensuring a “heavy” but not “hard” punch). 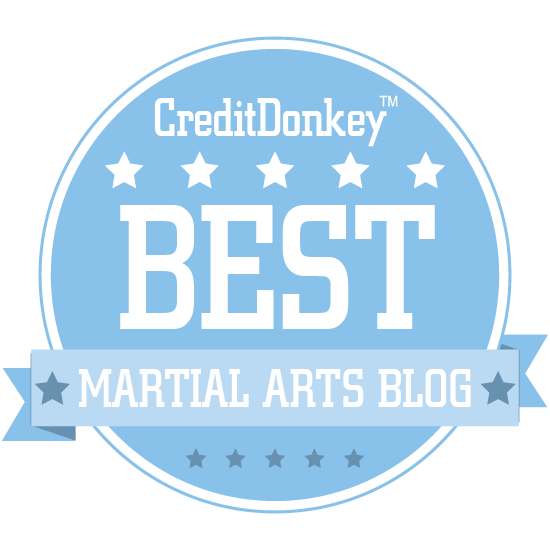 A karate punch is heavy and hard – it’s just that it is controlled – albeit in a different way from that used by the boxer to whom I referred at the outset of this article. Why not simply adopt the boxing approach to “safe” sparring? Firstly we train without gloves; while a boxing punch can be decelerated safely, the same is not necessarily true with an ungloved punch where the knuckles can still cause injury. But most importantly, karateka already train to develop focus; as I have previously stated, kime is the soul of the karate punch. A karateka must never lose sight of this. 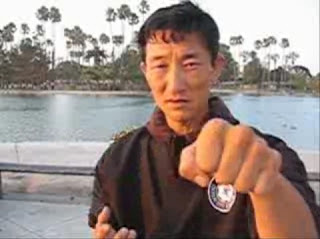 To start decelerating punches before impact is to groove a habit opposite to everything a karateka is trying to develop in his or her punching/striking/blocking/kicking method. "It's funny how many people "intentionally miss" in training. Like the people you may be fighting are going to try and intentionally miss, lol. 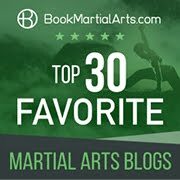 This is one of universal problems I've encountered over the years in martial arts training. The problems here should be obvious and if you're not wearing gloves, you're still cheating yourself of functional training. The reason is because pressure must come through. If not, you're not going to adequately test your structure. Open hand "touching" and the like has no weight behind it either. I've seen people "powder puffing" their training by either stopping short (as many do) or else either throwing so light that a person's stance, etc, isn't tested. How is that doing anyone justice? People will obviously take this to mean that you have to train with power and risk trauma, but that isn't true. The way around that is to drive heavy, but not hard. You're driving through to your target but only with weight and not power. It's something you have to feel and experience to understand more than likely. It's also something that's difficult to do with kicks as you have less control than you do your hands. This approach (heavy, not hard) is a great way to develop your structural integrity without brain trauma. However this wouldn't be safe to do without wearing gloves of some kind, because you are making contact (which I can't imagine training without). Bare knuckle is too risky and open hand training isn't going to suffice for the most part." 2. 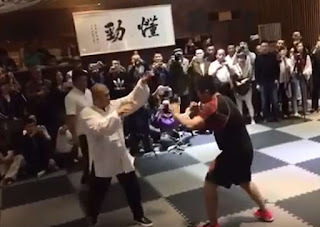 Many schools of mainland Japanese karate have taken the analogy with the sword to another level and have adopted the philosophy of “ikken hitsatsu” or “one punch/blow, certain defeat”. 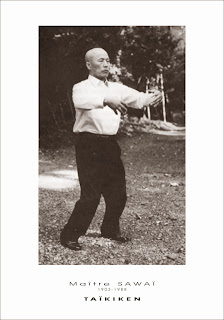 This is, in my view, an overemphasis of the concept of focus and reflects more the Japanese sword culture than it does the true nature of karate punches. 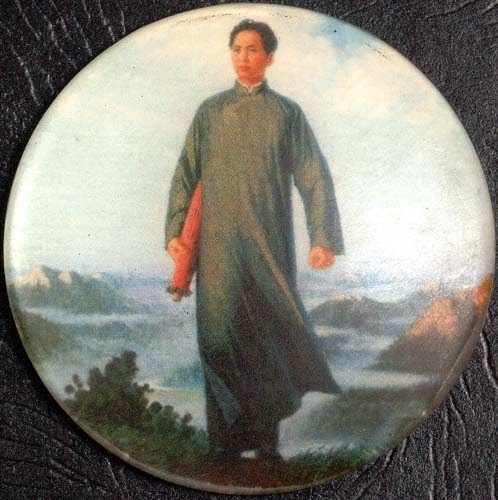 However a kernel of truth remains in as much as karate (and indeed almost all other East Asian traditional art) punches are focussed and brought to a halt at a predetermined point – just as is the case with a sword or other traditional East Asian weapons art. 3. In my instructor’s dojo some of my fellow students were training for a particular demonstration. My instructor noticed that one fellow kept “missing” by veering sideways. He warned him not to do so. The warning was ignored. A moment later the person with whom the fellow was training moved the “wrong way”and caught the blow square in the eye. The injury was severe and the eye was almost completely lost. The injured student never trained again. The gentleman concerned is too far from the makiwara meaning that his punch is only penetrating a centimetre or 2 into it. In terms of its destructive force, this is as much a "miss" or "pulled punch" as my instructor's demonstration of a "missed punch" in the video earlier in this article. 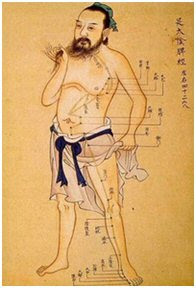 Tell the boxer to practice his Sanchin. 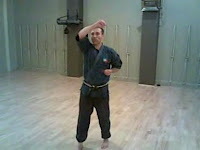 The elbow is never fully extended in any kata well executed. 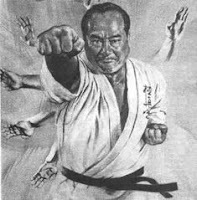 Anybody who had done kumite long enough learns to judge distance precisely, it come with the territory, not only of his own punches or kicks but that of his or her adversary. Everybody has had on occasion to pull or deflect a blow when not doing so would harm one's partner, usually because of a bad judgment of distance or an over-eager junior belt. 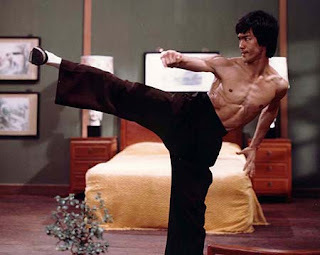 Despite all the years practicing non-contact karate I never had a problem achieving contact on the street, the reason being that I never had to adjust my stance to reach the makiwara. Your point is excellent Jorge, but I'm afraid the boxer concerned would just laugh at your suggestion!